Location.--Latitude 48°49'23", Longitude 120°08'41", in NE 1/4 Section 1, Township 38 North, Range 21 East, in Okanogan County, Hydrologic Unit 17020008, Okanogan National Forest, on left bank 50 feet upstream from Blizzard Creek, 20 miles northeast of Mazama, and at river mile 3.5. Drainage area is 22. mi2. Elevation of gage is 4,300 feet above NGVD of 1929, from topographic map. 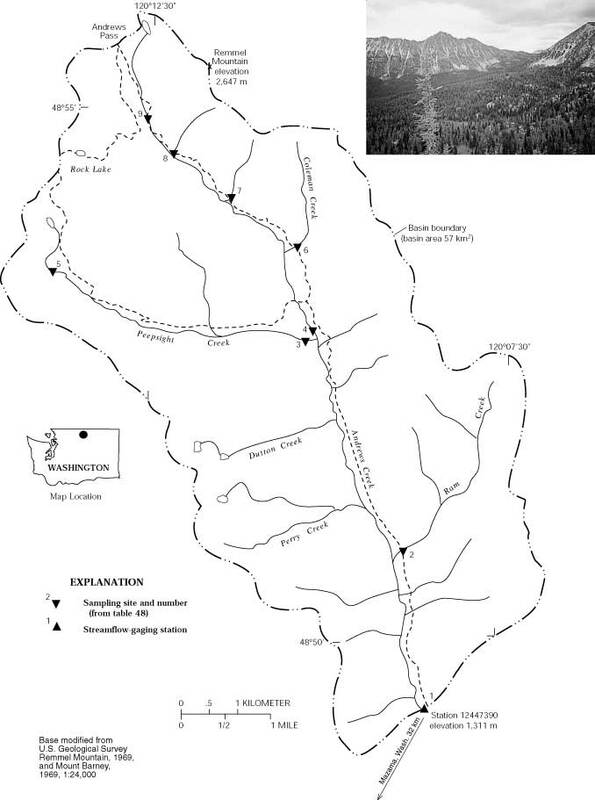 Maps.--Locate this station on a map of the basin (PDF), and a detailed basin map from the station information report.